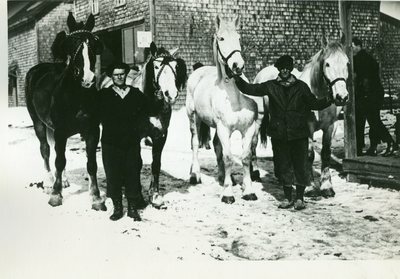 "Grindstone, Maine, Teamsters with Their Horses "
An image scanned from a black and white photograph with the caption, "Grindstone, Me. Operation; store and house. These teamsters took great pride in their horses."